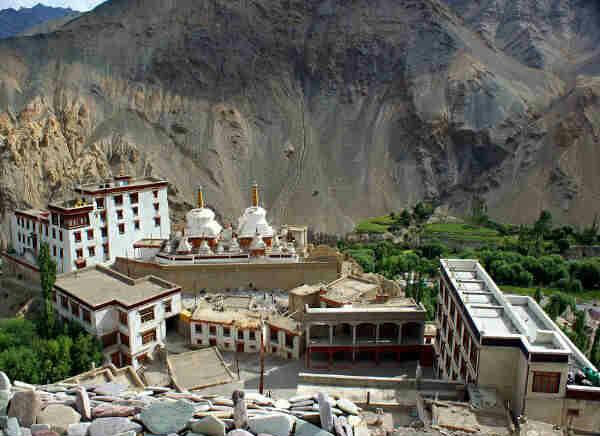 Named after the famous festival of Hemis Tse Chu, Hemis is the largest & richest monastery of Ladakh. It comes jam-packed with the Ladakhis in the wake and celebrates the festival like never before. As we see the lamas attired in colorful bright brocades and elaborate headgears, there are dances and festive mood all over. The itinerary of 6 Nights Hemis Festival Tour Packages offers you to to know the culture and life of Ladakh. Reach Leh by Indian Airlines or Jet Airways flights. Leh is main Centre of Ladakh. With the inhabitants of 50,000, Leh is located in small valley just the north of Indus valley. The tourists are advised to take complete rest for the proper acclimatization to the high altitude atmosphere. 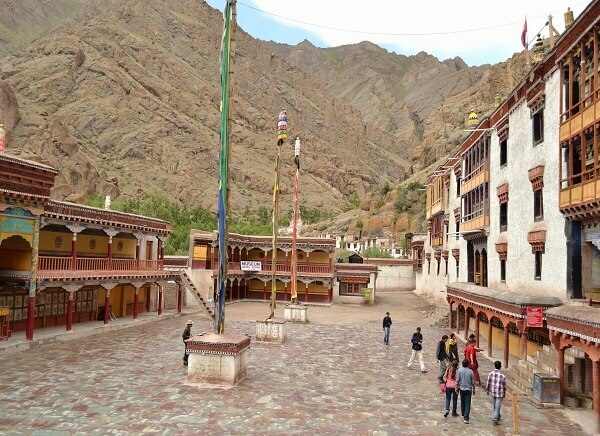 Hemis Monastery: This is biggest and the most important monastery in Ladakh. 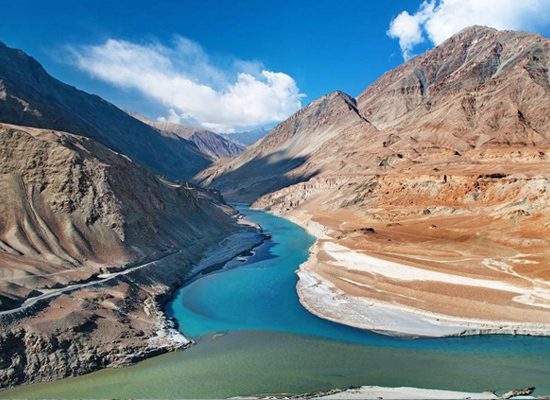 It is situated 49 kms to south of Leh, a little off the main Leh-Manali road. It was built in the 17th century by Chapgon Gyalshas and ever since has enjoyed the patronage of the royal family. Hemis is the headquarter of the Drukpa order and all the monasteries throughout Ladakh are administered by it. 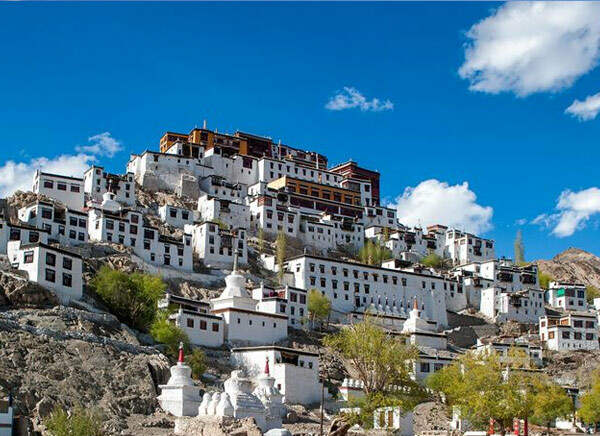 It also trains Lamas for the royal monasteries at Leh, Shey and Bazgo. In the 19th century it faced a siege by General Zorawar Singh. The Gompa was saved to the skillful handing of the situation by the head Lama. In 1956 the head Lama Hemis Gompa disappeared mysteriously never to be seen again. The monastery contains quite a few gold statue and stupas decorated with precious stones. It has a superb collection of tankhas, including one, which is supposed to be the largest in existence and is exhibited only once every 12 years. The monastery has annual festival, is a big tourist attraction. Masked dances are held on that day and is dedicated to Guru Padmasambhava. Every 12 years, the gompa's greatest treasure, a huge thangka - a religious icon painted or embroidered on cloth - is ritually exhibited. Thiksey Gompa: En route to Hemis Gompa, the Thiksey monastery is a most imposing structure providing a panoramic view of the green Indus valley from its vantage atop a hill. It has chambers full of statues, stupas and tannkhas. Shey Palace and Monastery: Also on the way to Hemis Gompa and 15 kms from Leh is the summer palace of the erstwhile, Raja of Leh, set upon a hill sitting Buddha wrought with copper and gold that leaves one lama before hand. Many chortens can be seen to the east of the monastery. The whole is dedicate to for the local sightseeing Lamayuru: After exploring villages around the area, it comes as a surprise to find that Lamayuru is a scruffy little place. 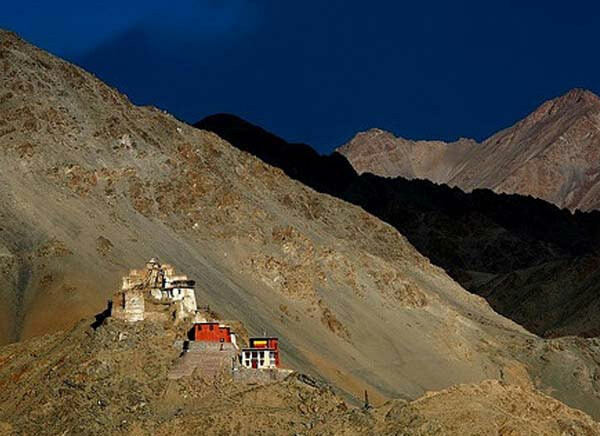 The gompa is the completely overshadowed and most famous spectacular monastery in Ladakh. On the way the group can also visit the Alchi and Rizong monasteries. Alchi monastery is famous gompa for the 1000-year old wall painting, which make a visit more than worthwhile. Rizong monastery about the six kms along a steepish, rocky track from the main road is the starts of the area with the nunnery of Julochen and the gompa of Rizong belonging to the Gelukpa factions. The whole day is dedicated to the shopping and to discover some interesting things about Ladakhi art and cultural by the visiting the Tibetan refugees camp Choklamsar, Library and Ecological Development etc. The women's vegetable market in the afternoon and some interesting place to visit. And the evening the Sankar monastery. It is situated above the Leh Palace and was built in 1430. It contains a 13.7 metres high statue of the Buddha which the Ladakhi call Chamba. According to the Lamas this splendid statue is the future Buddha. A butter burns day and night in front of this statue. Just 3 kms from Leh is this monastery that has a formidable collection of miniature of pure gold and a number of exciting painting. It is well lit and may be visited in the evening as well. 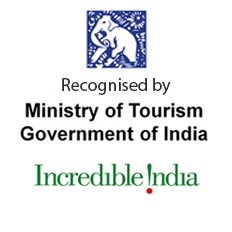 Leh to Delhi Tourists will fly back to Delhi, by the Indian Airlines flight. Tourists will fly back to Delhi, by the Indian Airlines flight.